Click on their picture to be taken to their ministry site. "Maybe you can relate to this…. Then I went to church. Don’t get me wrong, I was so excited to be with other believers. I was so hungry to learn. But over time, I began to realize that I was being taught all the things I had to DO to earn and maintain God’s pleasure with me. Answers to prayer grew further apart, joy and peace began to elude me. Why? The answer to this question has taken me years to learn, but it finally dawned on me. When I first met Jesus, he was my total focus. I never for one second expected Him to answer my prayers because I deserved it, I knew better than that. But after spending years in church, I now understand that I had picked up teaching along the way that took my focus off of Jesus, and centered on me and my behavior. I would pray, and when the answer seemed postponed I would begin navel gazing, sifting through my past behavior to make sure I measured up. Obviously, I never did. There was always something more I could have done, or less bad stuff I should have done. As a result, I got to the place where I knew God loved me (after all, He loves everyone) I just wasn’t sure that He liked me. Whenever we take the focus off of Jesus and His finished work on the cross, we inevitably put the focus where it should not be, It shouldn’t be about circumstances, the devil or me. It is ALL about Jesus. We never deserved any of His goodness, His Grace is a free gift. My journey reminds me of Peter walking on the water. As long as Jesus was his focus, all was well. The wind and the waves scared Peter and he began to sink. It didn’t enter Peter’s mind that he would not be able to walk on water even if the wind was still and the sea was glass. My point is …..It’s all about Jesus. Period. He paid the ultimate price so that my sins could be forgiven and I could receive new life. Take your critical eyes off of yourself, and turn your gaze toward Him. That’s what we are about at Impact. Living by Grace… because it was never meant to be so hard." Dr. Paul Ellis is the author of The Gospel in Ten Words and The Gospel in Twenty Questions. 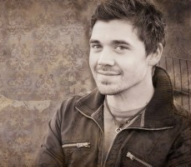 He writes regularly about the good news of God’s amazing grace at EscapeToReality.org. A former Bible smuggler, Paul pastored a multicultural church in Hong Kong for ten years. He was employed as a full professor at the Hong Kong Polytechnic University. He is ranked as one of the world’s most prolific scholars in the field of international business. He lives with his wife and their three children in Auckland, New Zealand. Tony and Kara are passionate about spreading the joy and love of the liberating Gospel of Jesus Christ. Tony is an itinerant speaker, sharing the Good News, bolstering our identity in Christ and confirming the message with signs and wonders. He is known for contagious, supernatural joy. 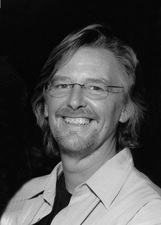 Steve McVey is the President of Grace Walk Ministries, a discipleship training ministry located in the Tampa Bay area. He is the author of the books Grace Walk, (Harvest House, 1995) Grace Rules, (Harvest House, 1998), Grace Amazing (Harvest House, January, 2001), A Divine Invitation (Harvest House, July, 2002), The Godward Gaze (Harvest House, 2003), The Grace Walk Experience (Harvest House Publishers 2009), Walking in The Will of God (Harvest House, 2009), Journey Into Intimacy (Grace Walk Resources, LLC 2008) 52 Lies Heard in Church Every Sunday (Harvest House 2011) and Helping Others Overcome Addiction (co-authored with Mike Quarles - Harvest House 2012). Over 550,000 copies of Steve's books have been published in fifteen languages. He and his wife, Melanie live in Atlanta. They have four adult children and three grandchildren. "I am a product of the system! What I mean is I grew up on Christian music. I was that kid who, while singing in front of the mirror playing a mean tennis racket , imagined singing with my favorite Christian artist rather than some big rock star. Now some could say that was just the beginning of what would be a major calling in my life. I tend to think I just needed to play outside more and have fewer imaginary friends. Regardless how you choose to see it, this is who I am. I remember joining my first praise band. I remember doing my first church camp. I remember when we started MercyMe. I remember making our first independent album. I remember the first time I led a kid to Christ at one of our concerts. I remember the first time I heard one of our songs on the radio. I cried. Not because it was on the radio, but because my dad believed it would happen one day. I am a product of the system to say the least. Christian music has played an enormous role in who I am today, and I am forever grateful." A founding member of New Creation Church, Joseph initially served as an elder and associate pastor. However, his unanimous appointment as senior pastor in 1990 marked a turning point in the history of the church, which started experiencing phenomenal growth. Under Joseph’s leadership, the church congregation has grown by more than a hundredfold—from about 150 to more than 30,000. Joseph believes the best in people and is committed to helping them discover how they can reign in life through the abundance of grace and the gift of righteousness. His desire is to help this generation of believers understand the new covenant of grace and realize how greatly blessed, highly favored and deeply loved they are by their heavenly Father. Sound of Awakening Ministries is the preaching and teaching ministry of Pastor Jeff Turner. Jeff presently serves on the pastoral staff of Marysville Assembly of God, in addition to teaching and preaching in churches throughout the country. His greatest desire is to see a generation awaken to the reality of Christ’s finished work, and truly come to grips with the loving heart of the Godhead. Jeff is passionate about unveiling the radical love of God for all of humanity, and calling a generation to experience Him for who He truly is–a loving Father who burns for us! Lydia and Francois met on the 25th of August 1974, while he was working with Youth For Christ. She was sixteen and he nineteen! The following year he studied Greek and Hebrew at the University of Pretoria for three years while Lydia completed her nursing training. In 1978 Francois also spent a year with Youth with a Mission. They married in January 1979 and are blessed with four amazing children, Renaldo, Tehilla, Christo and Stefan. Francois has written several books in both English and Afrikaans, including God Believes in You, Divine Embrace, Done! and The Mystery Revealed. He is currently passionately engaged in continuing with The Mirror Translation. The purpose of HearHim.net is to clearly focus, accurately see, and boldly proclaim the beauty and success of what God has done and continues to do for mankind. the perfect, complete, and eternal freedom. listen in such a way that it bursts forth in inspired expression – be the poet of what you see. and you will find delight and affirmation in your action. "My hope is to provoke thought and discussion so that people would be edified, encouraged and come into a greater revelation of the goodness of God and our perfection in Him and all that means. I’m not a world renowned theologian, I’ve not been through years of seminary, I’ve not even been a pastor of a church. However I have something going for me that many do not… I’m never scared to ask questions of what I believe. If what I’m standing on is a solid foundation then it will stand. If not – then I’m glad to be shot of it! God has me on a journey discovering His goodness and who I am in Christ and I’d love for you to join me!" 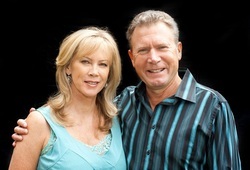 Rob and Glenda Rufus are the apostolic father and mother and the senior pastor couple of City Church International. They have raised three children, who all serve the Lord, Jay, Ryan and Bonnie and have been married since 1975. They grew up in South Africa where they planted their first church at the ages of 23 and 20, called Victory Faith Centre in Pinetown, Natal. The church quickly grew to 700 people within a few years, raised enough money to purchase its own amazing property. Rob and Glenda are loved by City Church and are raising up a powerful community of people that are filled with the love and grace of God. CCI has some of the most incredibly servant hearted and faith filled people you’ll ever meet. Their ministry is also growng in profile around the world, as they travel to many countries every year ministering the Gospel of Gods grace and helping to build local churches everywhere. Andrew Farley is lead pastor of Ecclesia: Church Without Religion, a non-denominational church that has resided on the high plains of west Texas for more than 55 years. Andrew is a bestselling author of five Christian books, which have been published thus far in English, Spanish, German, Dutch, Arabic, Indonesian, Nigerian (English), and Korean. Andrew's writings have been featured in national news and media outlets including PBS, CBS, and FOX. Andrew serves as a faculty adviser for InterVarsity Christian Fellowship,and he frequently speaks to Christian university groups like Campus Crusade for Christ and at churches around the United States and in Canada. You can hear Andrew Farley LIVE, a nationwide call-in program, every Sunday afternoon at 2pm Eastern on WAVA-FM on the east coast and nationwide on Sirius XM Satellite Radio, Channel 131. Greg Haswell holds a degree in Theology from Global University, and his wife Michelle completed her studies in Early Childhood Education at Teachers Training College. Greg and Michelle met as high school sweethearts, and married five years later, after completing their education. Greg and Michelle have been in ministry together for over 20 years. In their native South Africa, they led a church of over 1,500 members. They have pioneered two successful Christian radio stations, a crisis telephone counseling ministry, supported the establishment of a city wide community center, established a national leaders forum for young leaders and were co-leaders of a national youth organization. Then they felt God called them to come to the USA, where they are now citizens. In addition to pastoring Northlands, they provide support in an informal way to several other churches. "The reason I choose to write mostly about Jesus is because, well, He is what changed my life. And I don’t just mean that in a meaningless cliche fashion. I’ve been a Christian for most of my life. And have spent the last 10 years straight participating in it non-stop. But it wasn’t until a few years ago that one of my friends told me about what Jesus really did, that my life was changed forever. In the 18 years I had been going to church beforehand, nobody had ever told me anything like it. It was like it was the best kept secret in history, and once I found out about it, I came alive. I used to be a depressed and hopeless about life–that’s where the name of my music project To The Hopeless came from. But once I heard the gospel I instantly sprang to life, and nothing has been the same for me since. I am hopeful and excited about the future. I no longer look at it with fear and dread. I write because I want the chance to help others come alive just as I did when I finally heard the good news about life."